Valuable oils and ayurvedic spices, real cocoa beans, herbal bitters, high-quality incense sticks, smoothie mixes – all senses are addressed here! Here are treasures to be found! 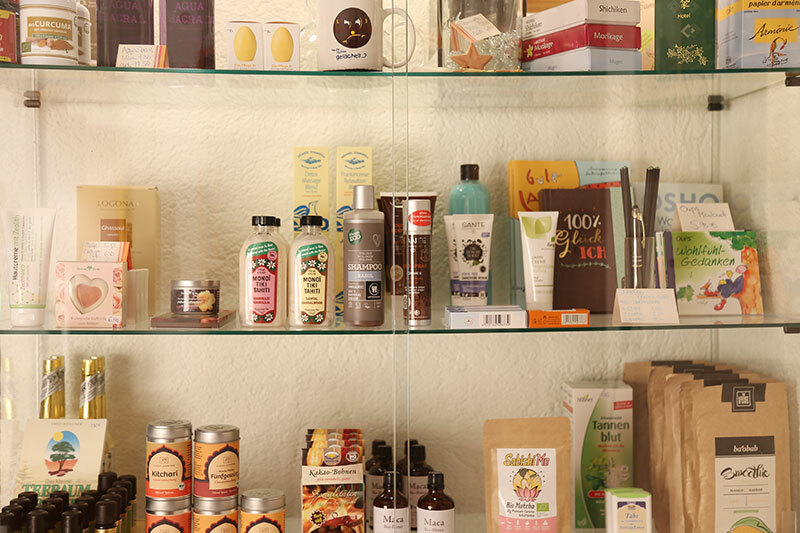 An entire shelf full of delicacies and specialties – our small natural goods store. The wide variety of goods on offer in our natural goods store, “Tohuwabohu”, range from delicious spreads, biscuits, snacks and drinks to selected natural cosmetics, essential oils and beautiful souvenirs, on display throughout the house. This ensures that your purchase comes all inclusive of a small adventure and detailed advice. always produced from the finest organic ingredients and with love.